Crowdsource Fundraising. Fees and fees and fees! So, a buddy of mine had a bad motorcycle accident. He was riding in Sunnyvale and a driver took him out. Two broken legs, and pins in both hips. Life is very challenging for him now. Anyway, he’s the Jack-Of-All-Trades at my kids’ schools (Portola Valley School District). As we live in a wealthy area, I thought I’d set up a crowdfunding site to help him with the financial challenges that face him. Turns out that being nice costs….. And if you’re not careful, it’s much more than you’d expect.At first, I did some on line searching…. The Wikipedia page comparing crowdfunding sites is woefully out of date, and doesn’t even have any information on what fees are charged. Pretty close to useless (first time I’ve found a Wikipedia page I’d describe this way.) Another list I had hope for is here. Seemed long and comprehensive, until I found that there was no entry that had been updated since 2012! So, I had a small business, and we needed a credit card processor so we could get paid. 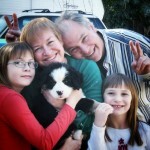 We chose Authorize.net as they were the most trusted name at the time. You can find the fee structure here. It really breaks down to two models: The first is a flat 2.9% plus 30 cents per transaction. This is for those that don’t have many transactions. That way if one only has a sale or two a month, subscription fees don’t eat into your profits. The thirty cent kicker is to cover the cost of very low cost sales. (If you sell things for a dollar, these fees can eat you alive. Watch out!) The model for volume sellers is different. Then, you pay a monthly fee ($25 for Authorize.net) and a flat 10 cents per transaction, no matter how many. Now the Crowdfunding sites make money charging a “transaction fee.” This is on top of the fee charged by the processer. (There’s a new kid on the block for processing as well, called WePay. I don’t know much about them, but they claim to take some of the headache out of setting up a payment system. When FES started using Authorize.net, it was targeted more at businesses than individuals, so I can see how WePay came into being.) Anyway, these fees are about 4.9% or more. 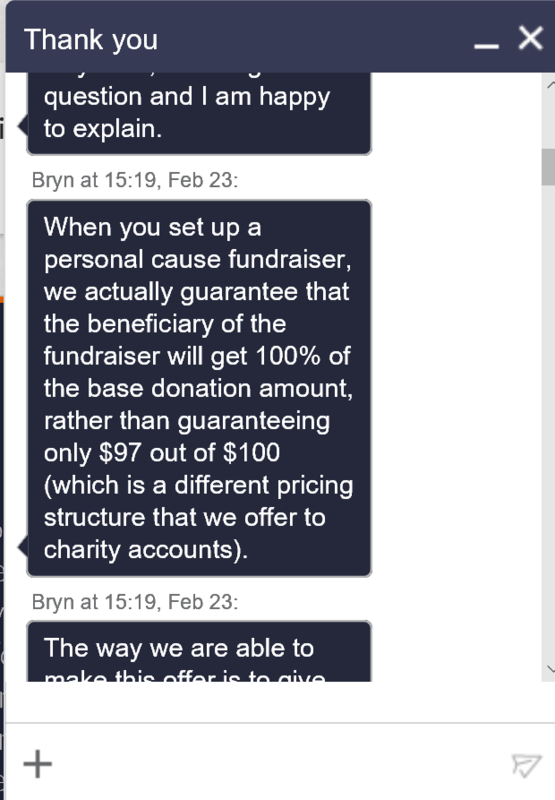 Now, I don’t have any problem with taking a small slice of the pie for running the donation site, but these numbers really bothered me when chatting with an on-line rep (Bryn) for Crowdrise, he typed that 100% of the donation goes to the personal cause! But they define the donation different than a giver would. I’d think that the amount I gave towards a cause was my donation, but they don’t. It’s the net to them. Total given less “transaction and processing fees”. For the campaign I used to have on crowdwise, this was 5.9% for the transaction fee, and 2.9% for the processor. Turns out that this “100% of the donation” site was actually running at 8.8%! When you read that they have helped raise over $100 million dollars, that means that over $6M has gone into the pockets of the business owners. To make matters worse, I only found this out after I’d jumped through all the hoops to set up the crowdfund. I wanted to make the first donation, and saw that there was a $22.30 upcharge on my donation of $250! Came out to 8.92% This is what prompted me to start the chat with Bryn…. They say that 100% of the base donation will go to the recipient. 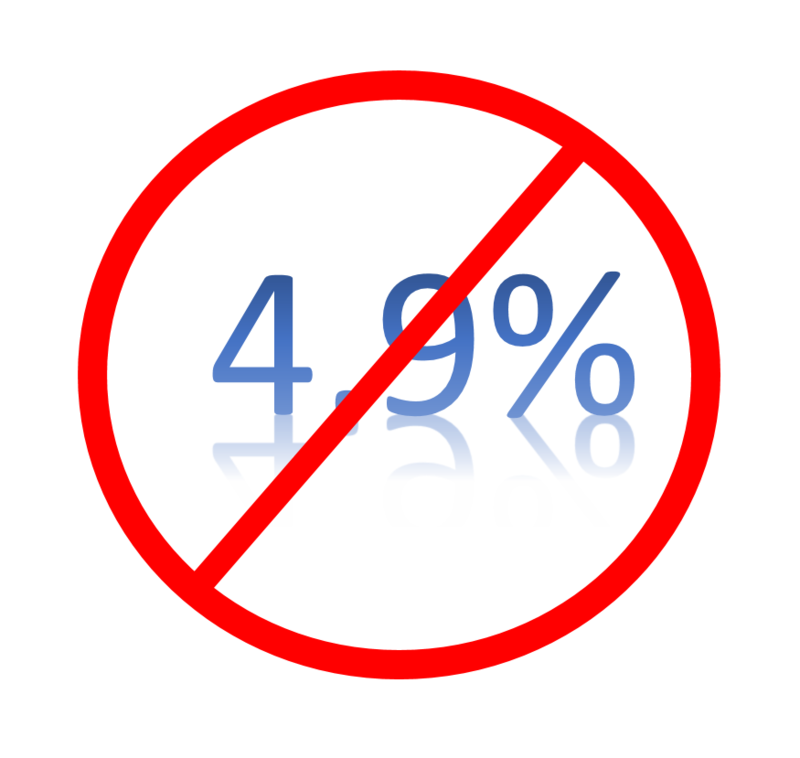 What they mean is that 8.92% (for a $250 donation) will NOT go to the beneficiary. This is a really slimy vocabulary slight-of-hand. There’s also some insidious icing on the crowdfunding cake. Some incentivize the organizer. Crowdrise issues points based on likes, shares and donation amounts. No, these aren’t kickbacks. But they can be traded in for things like a t-shirt that says “Decent Human” or other feel good messages on them. It’s not making money off the donations per se, but the stuff one can earn does cost money. And that money comes from somewhere. So indirectly it’s taking a perk for setting up the donations. A bit of a moral morass for sure…. What I don’t know is if all these sites charge the 2.9% to the user, then use the bulk transaction model with the processor. If I were setting up the sites, I sure would. But I don’t begrudge them that. If I could code my own fundraising site, I’d have so little volume that I choose that payment model anyway. GoFundMe claims to be the one of the largest crowdfunding site out there. It sure was the first name that I heard when I talked to people about it. They are the same, but a bit better. The fee they charge is 4.9%, so that’s better than Crowdrise. (During my chat, I told Bryn that I’d be cancelling my campaign, and they’d only see me back if they were one of the lower cost sites. Needless to say, I won’t be returning.) But all is not lost…. I found this article on a site called AL.com (who knew, it’s a site featuring stuff about Alabama! I’d never heard of it, I live in California…) This pointed me to YouCaring LLC. YouCaring was started by three missionaries (Brock Ketcher, Naomi Ketcher and Luke Miner) who returned from international mission trips who wanted to keep up the spirit. You can read the story here. Anyway, they only charge the 2.9% And the model seems to be working. They say they have funded over $330M in donations, and saved campaigns over $13,000,000 in fees. This is money that goes to the causes, or stays in the doner’s pockets. All with no impact to the actual money delivered to the causes. So please, visit John’s YouCaring crowdfunding page to help out. He’s a really nice guy who could surely use the help.